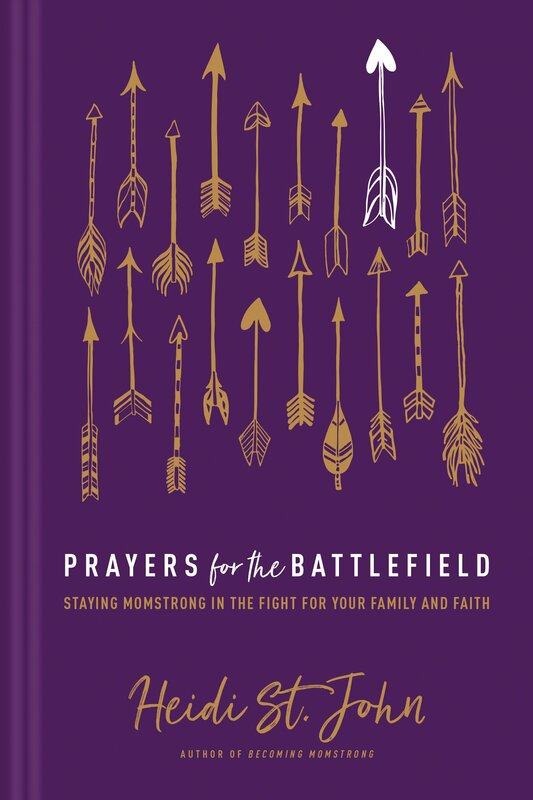 Over the last three months I have had the privilege of being part of the launch team for Heidi St. John’s new book, Prayers for the Battlefield. I have followed Heidi’s ministry for quite some time, and as a fellow counter-culture mom I am always blessed by her encouragement of women to stand uncompromisingly on the truth of God’s Word. In a day where we are short on voices that point us toward Jesus and the narrow road that He calls us to walk, I am thankful for Heidi and her obedience to walk that narro w road for the sake of the gospel. Heidi’s challenge to get off the bench and engage in the war for the souls of our children is much needed and vital for the advancement of God’s kingdom into the next generation. In Prayers for the Battlefield, Heidi addresses many of the situations todays moms might find themselves in. From moms who are burdened by the challenges of the daily grind; to moms who struggle with their own short-comings; to the mom who just needs to trust God in the releasing of her arrows. As I read through Prayers for the Battlefield I was encouraged, challenged, prodded, comforted and convicted. I laughed and I cried- yeah, I cried a lot! The personal stories that Heidi shares throughout each chapter are heartwarming, endearing and real. Each chapter ends with a prayer that is taken and adapted directly from scripture. I love this book! I see myself reading it over and over as I continue raising my children to be world changers. My heart is to be the mom that passes along everything I have to the next generation, and to launch my arrows straight and well. I am so thankful that we don’t have to walk this journey alone, but that the Lord chooses to give us women such as Heidi who unapologetically walks in the calling He has given her. This entry was posted in Home, Living Our Faith, Motherhood and tagged Book launch, Heidi St. John, homeschool, momstrong, Motherhood, parenting, prayer, Prayers for the battlefield. Bookmark the permalink.